Look no further for your perfect vacation spot than Utopia. This comfortable oceanside home in Frisco is situated in the peaceful Runboat Circle neighborhood, an easy walk from the beach and miles from the cares of the world. Enter on the first level, where four comfortable bedrooms await. Two queen bedrooms with TVs, one a master, open onto a spacious shaded deck where you can relax in the refreshing ocean breeze. 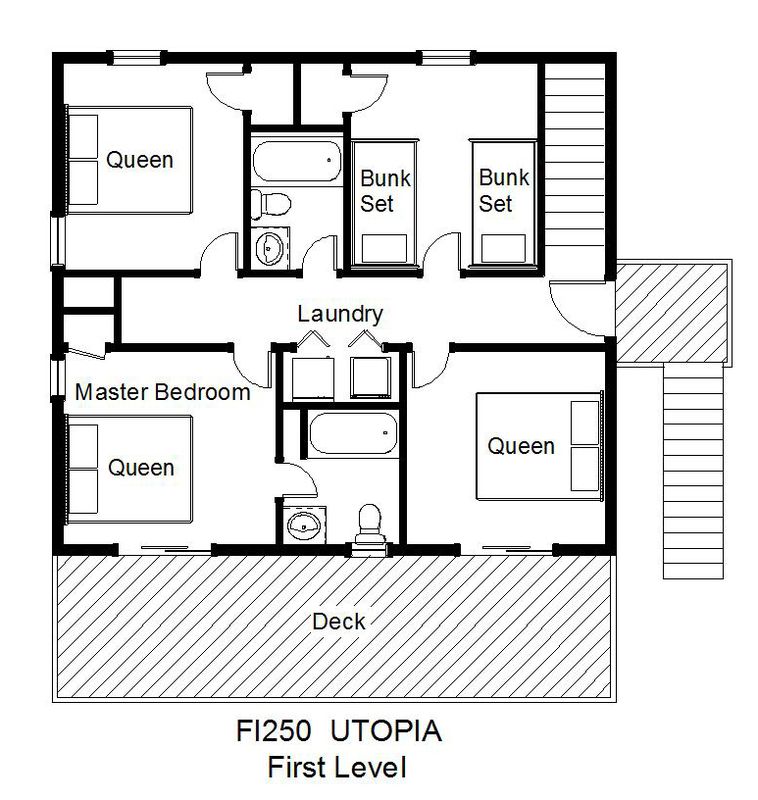 An additional queen bedroom with TV and a bedroom with two bunk sets share a full bath off the hall. The laundry area completes this level. 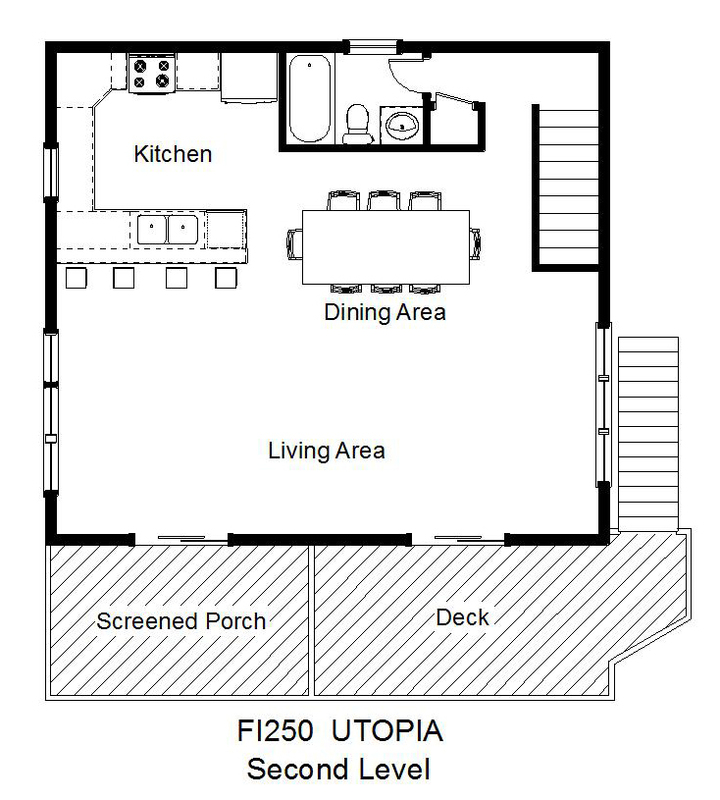 Come together in the open and airy living, dining, and kitchen area with breakfast bar and adjacent full bath. Complete with soundbar and DVD player, the living area is an ideal hangout spot for family entertainment. Picnic on the screened porch or soak up some sun from the oceanview sundeck, where you can plan your day’s adventures while you watch the sunrise. Stroll to the nearby beach via the community path at the end of the street and spend your days playing on one of the most popular beaches in the area. Your family will enjoy walking or riding bikes through the residential neighborhood. Public sound access is a short drive away, or you can head to the Cape Hatteras Lighthouse for the best view on Hatteras Island. With shopping, dining, and even more family fun all within a few minutes’ drive of this comfortable abode, you are never far from excitement and adventure. Find your vacation paradise at Utopia. Does Utopia induce bed sheets, pillow sheets, wash cloths and bath towels? This home does not offer a linens package for the 2018 season, so the only thing that is provided are pillows and blankets. Hi ! I would like to know if dog are allowed? For the 2019 season, Utopia does not allow pets. Rent it, it was reasonably priced for four bedrooms. Conveniently located to the beach access. Thank you, we enjoyed our vacation and the weather was great all week. It's a lovely house on a quiet street and plenty close enough to the beach.